A new alliance? Maybe they’ll get invited to join the club. There are a few other anomalies if you look closely at the green. Five world powers and Iran agreed late on Sept. 24 to establish a financial facility in the European Union to facilitate payments for Iranian imports and exports including oil, a key move sought by Tehran following the U.S. pullout from the 2015 nuclear deal and its re-imposition of sanctions. The nuclear agreement is meant to prevent Tehran from developing nuclear weapons, but U.S. President Donald Trump announced in May he was unilaterally pulling out because he felt it wasn’t strong enough and didn’t cover other issues of concern to the U.S. and its allies, such as Iran’s military influence in the Middle East and ballistic missile program. The U.S. has also accused Iran of promoting international terrorism, which Tehran vehemently denies. European Union foreign policy chief Federica Mogherini with Iran’s President Rouhani. Me ‘n’ you, gal – Let’s do it! In sharp contrast, the five other world powers who signed the nuclear deal remain strongly committed to it, and the new financial facility is almost certain to anger the Trump administration. Well, they’ve done it before, in Iran and pretty much everywhere else in the world! The United States and their allies invaded Russia back in 1918, trying to overturn Russia’s revolution. They supported the exiled/defeated Chinese Kuomintang party after they fled to Taiwan in 1949. 70 years later, maybe the US is still hoping those guys will make a comeback! They organized a coup to get rid of Iran’s democratically elected government in 1952, and supported the puppet Shah for 27 years until Iranians threw him out. Now, it seems Uncle Sam wants to bring that puppet government back – and they talk about democracy!! Time report: (NEW YORK) — Donald Trump’s attorney, Rudolph Giuliani, told members of Iran’s self-declared government in exile on Saturday that the U.S. sympathizes with their efforts to overthrow that country’s official government. The former New York mayor spoke to members and supporters of the National Council of Resistance of Iran, the biggest opposition group to Iran’s Islamic regime. Two U.S.-based members who joined the gathering have been targeted for assassination by alleged Iranian agents named last month in criminal complaints issued by the U.S. District Court for the District of Columbia. After Saturday’s attack on a military parade in Iran that killed more than 20 people, security was tight surrounding more than 1,500 people who came to a midtown Manhattan hotel for the meeting. Several months ago, Trump withdrew from a nuclear deal with Iran put in place by President Barack Obama and sanctions were reinstated. The National Council comes to New York annually during the United Nations General Assembly, staging protests outside the world body against Iran’s leaders who are in town. The U.S. government considered the People’s Mujahedin of Iran, linked politically to the council, to be a terrorist group the U.S. State Department removed from its list of such organizations in 2012. Since the beginning of the year, Iranians have kept protesting and marching against the clerical regime, and the national currency has lost about two-thirds of its value, said Maryam Rajavi, leader of the People’s Mujahedin of Iran, or MEK, and the declared president-elect in exile of the National Council of Resistance of Iran. *“We will not forget that you wanted to commit murder on our soil.” – Which, of course, the United States would NEVER do! *Overthrowing Iran’s “official government” with a “Paris-based organization is the democratic answer”! Democracy, American style! *“a group of outlaws and murderers and people who pretend to be religious people and then have so much blood on their hands it’s almost unthinkable.” Seems to me that could perhaps better apply to the US government and its backers. *“The regime is surrounded, politically and internationally, and in economic terms it is on the brink of collapse.” Certainly that’s what US leaders have been trying to do for 40 years. Interestingly, Iran seems to be winning support from some important members of the international community. *”abolition of the death penalty” – Which, of course, they don’t have in civilized countries like the United States, oh no! Meanwhile, what does the Iranian government have to say for itself? And who would you choose to believe? President Hassan Rouhani said on Sept. 23 Iran was ready to confront the United States and its Gulf Arab allies, a day after an attack on an Iranian military parade killed 25 people, including 12 members of the elite Revolutionary Guards. Speaking before leaving Tehran to attend the annual U.N. General Assembly in New York, Rouhani accused U.S.-backed Gulf Arab states of providing financial and military support for anti-government ethnic Arab groups in Iran. “America is acting like a bully towards the rest of the world…and thinks it can act based on brute force,” said Rouhani, who engineered Iran’s 2015 nuclear deal that ushered in a cautious detente with Washington before tensions flared anew with President Donald Trump’s decision to quit the accord. Iran’s Foreign Ministry on Sept. 23 summoned the United Arab Emirates’ charge d’affaires over comments made about the bloodshed in the southwestern city of Ahvaz. The Gulf Arab state of Qatar, which is at odds with U.S. allies Saudi Arabia and the UAE, condemned the assault on the military parade, which wounded at least 70 people. Gunmen fired on a viewing stand where Iranian officials had gathered to watch an annual event marking the start of the Islamic Republic’s 1980-88 war with Iraq. Soldiers crawled as gunfire crackled. Women and children fled for their lives. It was one of the worst ever attacks against the Islamic Revolutionary Guards Corp, the sword and shield of Shi’ite clerical rule in Iran since its 1979 Islamic Revolution. It answers to Supreme Leader Ayatollah Ali Khamenei and runs its own business empire in Iran, a major oil producer which has been relatively stable compared with Arab states that have grappled with unrest since uprisings in 2011. Since pulling out of the big powers’ nuclear pact with Iran in May, Trump has reimposed U.S. sanctions meant to isolate Tehran and force it to negotiate tougher curbs on its nuclear and ballistic missile programs. Iran has ruled this out. “America wants to cause chaos and unrest in our country so that it can return to this country, but these are unreal fantasies and they will never achieve their goals,” said Rouhani. Shiite Iran is at odds with Western-allied Sunni Muslim Saudi Arabia for predominance in the Middle East. The regional powers back opposing sides in the conflicts in Yemen and Syria as well as rival political groups in Iraq and Lebanon, with the Guards defending Iranian interests. “The small puppet countries in the region are backed by America, and the United States is provoking them and giving them the necessary capabilities,” said Rouhani. “The Persian Gulf states are providing monetary, military and political support for these groups,” said Rouhani. ISIL militants also claimed responsibility. Neither claim provided evidence. All four attackers were killed. “Hopefully we will overcome these sanctions with the least possible costs and make America regret its aggressiveness towards other countries, and particularly Iran,” said Rouhani. My step-daughter has just returned from a visit to Iran. She was there to deliver a paper at a conference, but was able to do a little sight-seeing. One of the “must-sees” for tourists is the UNESCO-listed ruins of Persepolis, ceremonial capital of the Achaemenid Empire (ca. 550–330 BCE). Those guys get an honourable mention in the Biblical Old Testament for permitting exiled Jews to return to their homeland and build a great temple in Jerusalem. Their kindness to the Jews, however, didn’t save them from having their magnificent city looted and burned by the army of the Great Macedonian Alexander as he marauded his way east on his mission to conquer the world. Inevitably our discussion turned to the matter of other historical and archaeological treasures housed in museums far from their original homes. Step-daughter was sure she’d seen the Rosetta Stone, key to translating Egyptian hieroglyphics, in Cairo. I was equally sure I’d seen it in the British Museum – and another online check confirmed that the one in London is the real one. The same institution counts among its most prized possessions, apart from probably more Egyptian mummies than you’ll find in Egypt, the so-called Elgin Marbles – a vast store of marble friezes and sculptures from the Parthenon in Athens, smuggled away in several shiploads by the British Ambassador to the Ottoman Empire in the early years of the 19th century. Greek governments have repeatedly asked for them to be returned – but the Brits are having none of that. Elsewhere, the Kunsthistorisches Museum in Vienna has a large section devoted to treasures from the classical city of Ephesus in modern Turkey, including a 70-metre frieze commemorating a (rare) Roman victory over the Parthians in 165CE. The Treasures of Priam, King of Troy (also in modern Turkey) were spirited away in the 1870s by the German archaeologist, Heinrich Schliemann. They were exhibited in the Berlin Ethnological Museum until 1945 when they disappeared – turning up later (in 1993) in Moscow, of all places. Well, it’s hard to get self-righteous about having stolen property stolen by someone else, I guess. New Zealand’s indigenous Maori have for years been trying to get back tattooed human heads that were popular with European collectors of cultural curiosities in the early days of colonisation. I’ve recently been made aware (thanks Lara!) of a similar campaign by native American peoples to repatriate human remains from universities in Canada. It seems the government of Turkey is at the forefront of this worldwide struggle to have purloined cultural and archeological objects returned to their homeland. In recent years, they have won several significant court battles resulting in the handing back of disputed sculptures and other artefacts. One such was the Sarcophagus of Heracles, smuggled out of Turkey in the 1960s, seized by port authorities in Switzerland in 2010. A panel of tiles in Istanbul’s Hagia Sophia Museum were smuggled to France in the 1890s and replaced with imitations, according to museum director Hayrullah Cengiz. “You can see the logo seal ‘made in France, Sevres’ behind the tiles,” he said, speaking to the state-run Anadolu Agency. According to Cengiz, the Hagia Sophia receives nearly two million local and foreign visitors every year. One of the two panels on the sides of the entrance of the tomb of Sultan Selim II, son of Süleyman the Magnificent, are an imitation of the original tiles, he said. Cengiz said the Culture and Tourism Ministry had made a request to the French Ministry of Culture for the tiles to be returned. “These tiles were being exhibited in the ‘Arts of Islam’ section of the Louvre Museum in France. They have recently been removed, most likely due to complaints,” he added. “The restoration of five tombs here was finished in 2009. It was revealed that these tiles were imitations during the restoration work, as you can easily see the logo ‘Made in France, Sevres’ written behind them. When you look at the difference between the two tiles on the right and the left, you can see the beauty of the original ones. The colors of the others have faded and lost their gloss because they are imitations, even though they have been there for only 100 years. The original ones, which are 400 years old, look brand new,” he said. Now that was a cheeky one! I don’t know what sort of coverage it got in your part of the world. I did find a piece or two in the UK’s Guardian, and on the BBC, linked to a lot of “related” pieces about Turkey’s “Islamic dictator” imprisoning poor innocents merely because they tried to have him ousted by a military coup last July. Both articles make judicious use of words like “allegedly” and “reportedly”, but there doesn’t seem to be much doubt about the facts. Turkey had sent 40 soldiers to participate in a NATO training exercise in Norway. Well, even military exercises need an enemy, and apparently the NATO organisers in their wisdom chose to use the name of Turkey’s much-maligned President Erdoğan, alongside a picture of the revered founder of Turkey’s republic. Understandably, the Turkish government was not amused and withdrew its participants from the exercise. NATO Secretary-General Jens Stoltenberg promptly issued an apology, followed by a statement by Norway’s minister of defence expressing his “concerns about the incident”. So, it seems pretty clear that the facts are essentially as reported. Stoltenberg’s statement claimed the incident was the result of an “individual’s actions” – a Norwegian civil contractor seconded by Norway, and not a NATO employee – and did not reflect the views of the alliance. Whatever we may think about the rest of the world being expected to support corporate America in its vendetta against uncooperative foreign leaders, it struck many people as strange that Mr Zarrab would voluntary enter the USA knowing that he would probably be arrested. “It was never convincing that Zarrab, known worldwide for breaching the U.S.’s Iran sanctions and getting arrested in Turkey in the Dec. 17- 25, 2013 corruption and bribery operations, came to the U.S. to take his child on a trip. His arrival in the U.S. was thought to be the result of a negotiation. It is claimed that he negotiated to become a confessor in return for a permission that will allow him to keep his assets outside Turkey and continue commercial activity. If he becomes a confessor, the story will widen more and a new indictment will be written. ‘It smells fishy,’ President Recep Tayyip Erdoğan had said about it. “Turkey lives in a troubled neighborhood and the Western world has often had problematic relations with its neighbors. There has been a bad guy in Damascus, Bashar al-Assad. No one was supposed to cooperate with him and Turkey was once asked to follow suit. There was also a bad guy in Iraq, Saddam Hussein. Sanctions were applied against his regime and Turkey was asked to abide by those sanctions. In Iran, there has been a bad regime ever since the Islamic Revolution. Tehran has been continuously under sanctions, which Turkey has been under pressure to abide by. There has also been a bad guy in Russia, the Kremlin. Sanctions have been introduced and Turkey has been required to follow them. People sometimes forget that economically thriving nations trade with their neighbors. Some also forget that while the EU wanted Turkey to abide by the sanctions it imposed on countries to its east, north and south, it did not exactly have its arms wide open when Turkey turned to Europe. Currently, when a foreign observer looks at Turkey, they see an Islamist leader distancing Turkey away from the transatlantic alliance. But the same observer may forget that it was that same leader who once undertook the most sweeping democratic reforms Turkey has ever seen. They may also forget that when Ankara knocked on the EU’s door in the 2000s, Germany’s Angela Merkel and then French President Nicolas Sarkozy effectively closed the door in its face. It also suited Europe’s interest to keep Turkey at arm’s length, hiding behind the Greek Cypriot administration which has been blocking accession talks. New election coming up in Germany? Wasn’t the September result satisfactory? German voters should think again! I’m reblogging this from ‘Finding Truth in an Illusory World’ – And you have to admit, they’ve got a point . . . The official homogeneity, however, masks on-the-ground reality. A superficial indicator of this is the clothing worn by women in Turkey. The wearing of some kind of headscarf is traditional in this part of the world, and you will meet every variation, from the black burka covering all but the eyes, to the brightly coloured silk Armine fashion accessory complementing designer jeans and stylish make-up. Young ladies in the latter category are quite likely to be seen strolling the streets arm-in-arm with a bare-headed mini-skirted female friend, or publicly embracing a male one (probably without a miniskirt). Those women enveloped in black from head to toe are anathema to the secular fashionistas of Nişantaşı and Baghdad Ave, many of whom nonetheless fast during the holy month of Ramazan. On a deeper level, it is estimated that ten to twenty percent of Turkey’s population belongs to the Alevi sect, whose brand of Islam stems from the Shi’ites, one of the two main branches of Islam. Origins of the split date from the early days when the Prophet Mohammed died without making it clear who should take over his leadership role. Turkey’s Muslims are predominantly Sunni, but the Alevi group, while maintaining a distinct identity, seems to have little in common with the fundamentalist Shi’ites who hold sway in Iran, or even the Alawi dictatorship of beleaguered Syrian president, Bashar al Assad. Further complicating the matter is the fact that many, though by no means all Alevis are ethnic Kurds, another twenty percent demographic who supported the foundation of the Republic of Turkey, but have resisted cultural and linguistic assimilation. Apart from these major subsets, the boundaries of the republic contain several other ethnic, linguistic and religious groups: the Laz of the Black Sea region, Arab speakers in the southeast, descendants of Circassian refugees from the Caucasus region. Communities of Armenians and Eastern Orthodox are to be found, their churches and cemeteries occupying prominent sites, especially in Istanbul. Jews remain, still performing rites in the Ladino dialect their ancestors brought from Spain in the 15th century. There is a sprinkling of Catholic and Protestant churches catering, one assumes, to small local congregations, with a little proselytising on the side – and one or two evangelical Christian sects clearly carry out missionary activities. As a result of the foregoing, there are two conflicting forces at work in modern Turkey. One is the homogenising assimilating process set in motion of necessity by the republican founders back in the 1920s when armed struggle alone would save the land from division, partition and annihilation by the victorious allies after World War One. That struggle could only be initiated by creating a national identity with common roots of history, religion, language and culture, whose owners’ sacred duty was to defend the land on which they stood. Creating and sustaining this identity required a certain amount of myth-making, propaganda and suppression of dissent. The other force, steadily gaining strength, is one acknowledging the diversity of Turkey’s population, and seeking recognition and equal rights for all citizens. Tension between these two forces has been causing conflict such as the so-called ‘Gezi Park’ protests in the early summer. Perhaps surprisingly, far from indicating a failure of democracy in Turkey, this tension is entirely healthy. The democratisation process implemented by Turkey’s government over the past ten years has been slowly granting acceptance and equality to groups previously marginalised. Ironically, this reforming government is the one accused by some citizens of harbouring an ‘Islamist’ agenda – while the protesters are the conservatives supporting military enforcement of exclusive, so-called secular Kemalist values. I try to keep a finger on what’s going on in the world of Turkish soap operas. It’s a losing struggle, since there seem to be dozens of them, and they generally run for two years at most. Many of them are obsessed with intrigues in the lives of the rich and famous, showcasing palatial houses in the stratosphere of Istanbul’s top-end residential market. While channel-surfing the other day, however, I did come across one that provided a refreshing alternative to the usual fare. 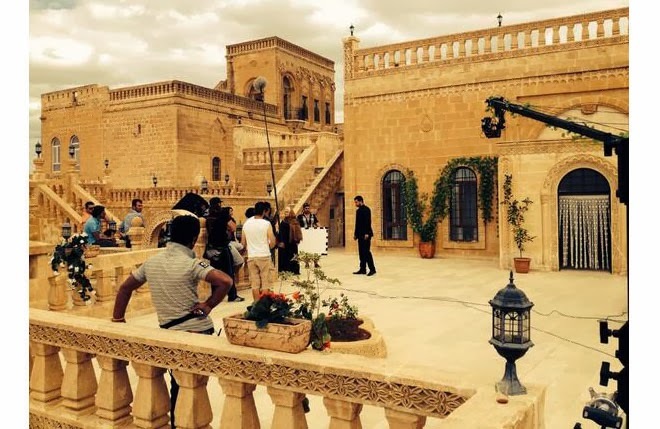 ‘Adını Kalbime Yazdım’, (I’ve Written Your Name in My Heart), moved, in the episode I watched, between that Istanbul world of wealth and privilege, and the southeastern city of Mardin near the Syrian border, where the architecture is distinctly Arabic and many of the locals speak Turkish as a second language. The main man, Ömer, a tribal leader, is evidently making a life for himself in the western metropolis, and is engaged to a fashionable young city girl. His mother, however, back in Mardin, has taken it on herself to promise her number one son to the daughter of a rival clan chief, in an attempt to patch up the blood feud that has been seething for years. Our guy speeds back to his hometown to sort things out, but has clearly lost touch with Mardin realities. Rejecting the local girl after agreement has been reached is an unforgivable affront to the honour of both families. His own brother feels obliged to cleanse the sin in the time-honoured tradition – with a bullet. Recently there was a conference in the Mediterranean coastal city of Antalya: An International Symposium on Children At Risk and In Need of Protection. A press release announced that one in three new brides in Turkey is under eighteen on her wedding day, and that thirty-five percent of these girls are actually ‘second wives’ – understood locally to mean a girl taken by a man in an unofficial ‘religious’ ceremony when he feels he needs a little more excitement than his first wife is providing. 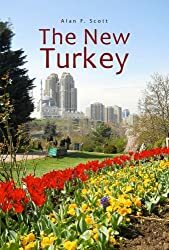 The point I want to make here is that there is more to Turkey than what is common among the secular elite of Istanbul who move from fashionable Etiler, Nişantaşı or Baghdad Avenue to the ski slopes of Uludağ and the beach resorts of Bodrum and Antalya and back, with trips abroad for variety. Undoubtedly the gnomes of Brussels who oversee the European Union are well aware of this, which perhaps explains their reluctance to see Turkey’s eighty million people gain free access to their civilised Christian club. It is certainly a better reason than their stated objections to the Cyprus problem, abuse of human rights and police violence against citizens. As suggested above, a major irony of the Middle East these days (and for our purposes here let’s include Turkey by reason of its Muslim identity) is that so-called ‘Islamist’ political parties are often the ones championing human rights, participatory democracy and national sovereignty. ‘Secular’ leaders, in contrast, are more likely to be reactionary, authoritarian and subject to undue influence by foreign powers. This creates difficulties in the minds of ordinary citizens in Western democracies, who are accustomed to associating religion, especially the Muslim religion, with intolerance and backwardness. Take Iran as an example. Persia has been a land of high civilisation and culture since the dawn of history. This continued until the 18th century when the Great Powers of Europe, especially Britain and Russia, began playing their expansionist games. The games turned to frenzy with the discovery and rise to prominence of oil as the energy to power the 20th century. Anglo-petroleum interests moved in, the Middle East was occupied and divided into ‘spheres of interest’ and ‘mandates’ after the First World War, and a gentleman by the name of Reza Khan emerged from village obscurity and ascended to the throne of Persia with a little help from the Brits. Shah Riza himself apparently offended his erstwhile allies by insisting on Iran’s remaining neutral during the Second World War, and was forced to abdicate in favour of his son, the latter we must assume being more amenable to British Imperial interests. Fifty years passed with exploitation of the country’s oil wealth by foreign interests aided and abetted by the local elite who enriched themselves at the expense of the ordinary Persian. Finally, locals, in 1951, managed to elect a more sympathetic and effective Prime Minister who promptly nationalised the oil industry and encouraged the departure of Mohammed-Reza Shah. The new dawn didn’t last long, however. The British government, keen to protect its own interests but lacking former imperial might, persuaded the new US President Dwight D Eisenhower to get involved. The ensuing CIA-sponsored coup d’etat ousted PM Mossadeq and reinstated the Shah, who restored the status quo and ruled with an iron fist of oppression for twenty-six years until the Islamic revolution led by the Ayatollah Khomeini overturned the puppet monarchy in 1979. Well, I’m not extolling that gentleman’s virtues or holding modern Iran up as a model of democratic freedom – but you might want to ask, who is responsible? Similar case studies can be offered in Iraq and Afghanistan. The United States government supported and armed the Afghan Taliban fighters in their struggle against Russian invasion in the 1980s, then left the country to sort itself out after the Soviets had withdrawn. Saddam Hussein too was initially a useful US ally back then when he sent his military against the demon Iran. Unfortunately, the enemy of my enemy may quickly cease to be my friend, and become my enemy too. Sad to say, the US government seems still not to have learned this lesson. Instead of addressing the root causes of frustration and anger among Middle Eastern populations, President Obama’s administration is continuing a policy of unilateral aggression, using its unmanned drones and SEAL commandos to invade the sovereign territory of other states and take out people considered hostile to its interests regardless of collateral casualties and damage to property. Around the same time as the action in Tripoli, a contingent of SEALs (what a nice innocuous name for a murderous organisation) entered Somalia and inflicted casualties while failing in their objective of capturing or eliminating a leader of another terrorist group, Al Shabab. Just the other day a US drone strike was reported to have killed a Taliban leader in Pakistan, along with anyone else who happened to be in the vicinity at the time. Successive US administrations supported the military dictatorship of Hosni Mubarak in Egypt for 29 years until he was overthrown by popular demand in 2011. His major appeal in the West was support for Israel, not something Egypt had been noted for in the past. Subsequent elections produced a government with Islamic connections (not altogether surprising in a country whose population is ninety percent Muslim). A military coup in July this year ousted the new democratically elected government and is bringing its leader, Mohammed Morsi, to trial. The US government was conspicuous in its refusal to acknowledge the event as a coup, but more recently has been obliged to take punitive economic measures against the military regime in the face of mounting international criticism of police and military brutality. A new report by Amnesty International has accused the Egyptian regime of persecuting and rejecting refugees from the ongoing civil war in Syria. Of course it is a major problem for any country to deal with flows of penniless displaced persons from a neighbouring state, but these people are Muslims and fellow Arabs. In contrast Turkey, often the target of criticism by the Amnesty International people, has so far allowed around half a million fleeing Syrians to take refuge within its borders and is doing its best to provide for them. Fortunately the government of Turkey has managed so far to keep the country from descending into the sad state of its Arab neighbours. Anti-government protesters these days seem largely content with pressing the emergency stop button on the new rail link joining European and Asian Istanbul that passes through a chunnel beneath the Bosporus. I wouldn’t, in normal circumstances, look to a blond Hollywood movie starlet for guidance on political matters, but I was interested to see an article about Blake Lively in our local newspaper last weekend. The Turkish journalist had apparently caught up with her in Paris, and they were burbling on about the usual film star stuff – how the poor girl’s biggest problem in life is trying not to eat chocolate so that she won’t lose her figure. Before finishing, however, the interviewer couldn’t resist seeking Ms Lively’s opinion about democracy in Turkey and police abuse of human rights. I don’t know anything about politics, she said, but I really want to go and see Turkey for myself. The young lady went up considerably in my estimation. Perhaps she could invite that sensitive novelist Paul Auster along when she comes.